Forty thousand dollars. If you happened to have such a sum spare, you could choose to spend it on any number of things. A down-payment on a house. An all-inclusive holiday to Mauritius. You could buy a Mercedes-Benz C-class outright, or 1,333 bottles of Grey Goose vodka. Alternatively, back in 2013 you could take a trip to the White Barn Inn in Kennebunk, Maine, and celebrate their 40th birthday in style. Consisting of Hanger One Vodka, St. Germain Elderflower cordial, freshly squeezed grapefruit and pomegranate juice, and a spoonful of rosewater, this one-of-a-kind cocktail was served throughout their anniversary year, topped off with a 4-carat ruby. 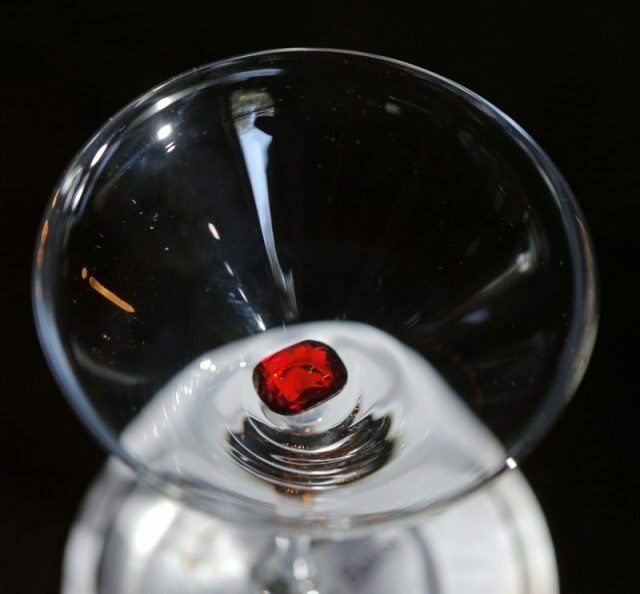 The ruby red drink seemed the perfect complement to the gemstone, which also symbolises a 40 year anniversary in marriage and other pursuits. In case rubies just aren’t your thing, you can also order the cocktail without the sparkling final touch. For $18.